Methods: The majority of large placer deposits are in South & Central America, Africa or Asia. When one operates in a foreign, remote area, it is essential to use reliable methods, local labor, and tested equipment. Photogeology, at the initial stage, offers a 2D (surface) definition of the area and its geology. Seismic adds a 3rd dimension to lead the sampling program. It provides cross sections of alluvial terraces with little error. The sampling in strategically selected areas gives tests on economic reliability of the deposit. Selecting potential construction sites for critically engineered facilities such as dams or harbors. The geologic interpretation of aerial photography is based on the fundamental recognition elements that include shape, size, pattern, shadow, tone or color, texture, association, and site. The quantity and quality of geologic information that can be interpreted from aerial photography is dependent upon the training and experience of the Interpreter in geology and remote sensing. The three-dimensional view of the terrain reveals important topographic information that cannot be obtained by viewing single photographs. Although oblique air photos are often of value to the photo geologist, most studies make use of vertical air photos. Most of the photographs used in Photo geology are acquired under relatively high solar illumination angles to ensure that ground detail is not hidden by cast shadows. When there is a need to enhance surface irregularities, special purpose photographs are acquired with low sun angle illumination. Whenever feasible, both high and low sun angle photographs are o obtained for a given study area. Medium to large scale air photos are best suited to the detailed study of a localized area, whereas small scale air photos, such as those obtained from earth orbit; find their greatest utility for regional surveys. 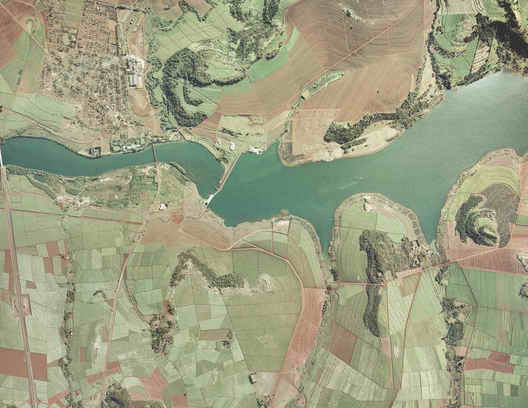 Fig.4.1 Air photo interpretation of regolith-covered greenstone belt in central Brazil, original scale 1:60,000. Interpretation of structure and lithology is normally carried out at the same time. For larger blocks, the synthesis of geomorphic and structural observations can reveal controls on erosion history, drainage changes and other factors affecting the concentration, secondary enrichment or dispersal of potential mineral deposits. Field operations involve laying out a seismic cable with several geophone detectors (usually 12 or 24), at the takeout points on the cable. In some situations, such as in saturated sediments, shear wave information is more diagnostic of layer information than compressional wave. In this case a shear wave source and shear wave geophones are employed. Overwater, pressure-sensitive hydrophone receivers are substituted for the geophones. Geophone or hydrophone spacing is strongly dependent on the depth of search and the desired resolution for a given survey. A pattern of shot points is then executed within and off the ends of the cable and the seismic wave arrivals for each geophone are recorded in the seismograph. The key piece of recorded information is the time of the first arrival. This arrival is the direct wave, or more commonly, the refracted wave which occurs when seismic energy propagates along a geological interface having a sufficiently great velocity contrast. This contrast must consist of a higher velocity zone underlying a lower velocity zone, fortunately the most common geological condition. The energy source may be sledge hammer blows in extremely shallow search surveys (less that 10 meters), a shotgun source when overburden conditions allow, or explosives where depth and/or energy attenuation is a deciding factor. The maximum depth of exploration is limited by space requirements for long cable layout and favorable shooting conditions for explosive charges. In general, a seismic cable three times the expected depth of exploration is required to ensure sufficient bedrock or basal layer arrival information to provide depths independently beneath each geophone location. Interpretation of the seismic data involves resolving the number of velocity layers present, the velocity of each layer, and the travel time taken to travel from a given refractor up to the ground surface. This time is then multiplied by the velocity of each overburden layer to obtain the thickness of each layer at that point. The analysis of the refraction data is assisted by the use of an integrated suite of programs. In some circumstances companion surveys may be carried out to provide correlative information. Transient electromagnetic soundings, resistivity soundings, or multielectrode resistivity surveys provide a means of assessing additional layering information. Frequently, the marine seismic refraction method is a companion survey to marine seismic reflection profiling surveys. The seismic refraction method is generally utilized for determining depth to and competency of the bedrock surface, overburden classification, geological structure, and earthquake risk assessment. On land and on the ocean bottom, shear wave refraction is used to determine layering and layer elastic modulo. Electrical resistivity methods have been traditionally used for subsurface layering delineation based on distinct resistivity contrasts between diverse geological materials. Generally utilized to obtain resistivity soundings, the method is also used in the profiling mode to provide more rapid coverage of large survey areas. Overwater acoustic profiling is carried out to determine sediment layering and depths to bedrock in the marine or fresh water lake and river environments. The tool is usually accompanied by high frequency fathometer and side-scan sonar. The side-scan sonar is used to scan to the sides of a traverse to determine bottom conditions and locate bottom or shallow sub-bottom hazards. Positioning is generally carried out with standard GPS technology. A relatively large size sample is needed for accurate valuation of the ground being tested. Placers are composed of many sizes of gravel that make a representative sample difficult to obtain. When sampling placers for high unit value minerals such as gold, any error in mineral content of the sample will be magnified in the calculation of reserves. Values usually are erratically distributed within the gravel mass. Therefore, some placers with a more uniform value distribution may be adequately assessed with a minimum number of samples, while a deposit with a high erratic distribution of values may not be adequately sampled regardless of how many samples are taken. The investigation of a placer deposit should be made by or be under the direction of a person experienced in the art of placer sampling. During a sampling program, items that must be observed and noted in addition to the sample size and valuable mineral content should include boulder size and number, clay content, bedrock conditions, water, frozen ground, false bedrock, and any other physical characteristics that would affect mining of the deposit. – Reconnaissance: (1) check status of land ownership, (2) physical characteristics of area, and (3) research mining history of the area. – Field inspection: (1) photogeomorphology, (2) surface grab sampling over all exposures of gravel, (3) few seismic cross section, (4) geobotanical study, and (5) survey for old workings. – Choosing a Sampling Method: The main methods to consider are ( 1) existing exposures, (2) hand-dug pits or shafts, (3) backhoe trenches, (4) bulldozer trenches, (5) other machine-dug pits or shafts, (6) churn drill holes, (7) other drilling methods, or (8) bulk samples. Existing Exposures: If existing exposures are available, they can be tested for potentially valuable minerals by taking a grab sample and panning the sample. Advantages of taking samples from surface exposures are the low cost and the speed at which the samples can be taken. The disadvantages are that you can only sample what is on the surface and no quantitative information can be produced. Methods: The majority of large placer deposits are in South America, Africa or Asia. When one operates in a foreign, remote area, it is essential to use reliable methods, local labor, and tested equipment. Photogeology, at the initial stage, offers a 2D (surface) definition of the area and its geology. Seismic adds a 3rd dimension to lead the sampling program. It provides cross-sections of alluvial terraces with little error. 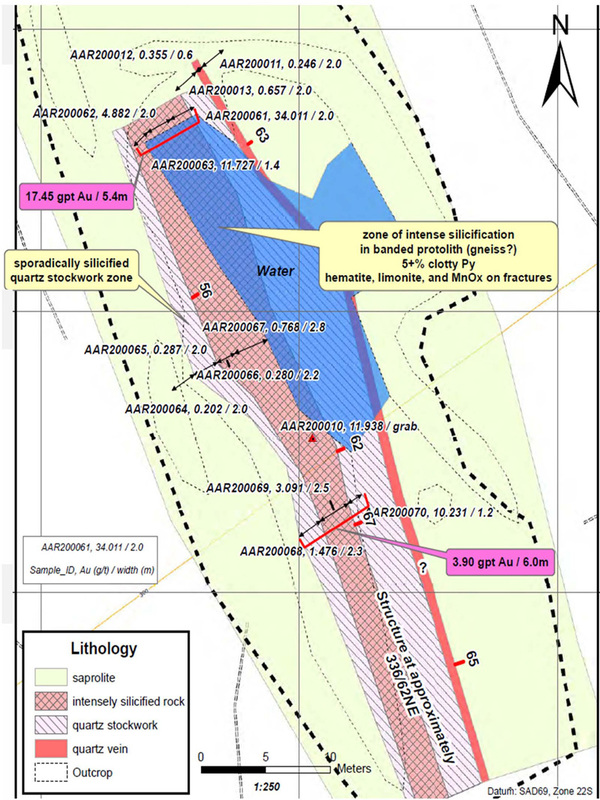 The sampling in strategically selected areas gives tests on economic reliability of the deposit.